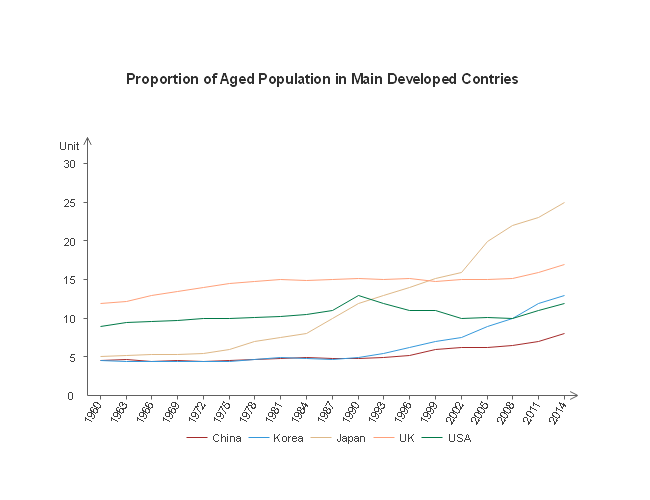 Description: This aged population line chart template shows the proportion of aged population in some developed countries including the U.K., the U.S.A. and Japan. Free download the file to insert more lines and data sets for your findings. A great platform for sharing bar chart, pie chart, line chart, area chart, presentation template, circular diagram, and graphic organizers. All shared chart templates are in vector format, available to edit and customize. Explore whatever fits you best and save for your own use.